What did he do to that poor unicorn!? German indie developer Orlyapps will make its Steam debut later this month with Commander Cool 2, a throwback platformer featuring a local co-op mode. 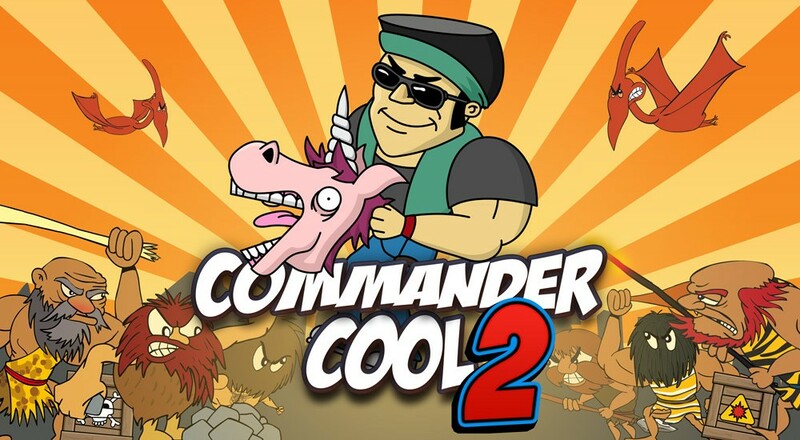 Recently Greenlit by Steam users, Commander Cool 2 is a 2D time-traveling adventure in which up to four players rampage through a series of side-scrolling levels and mow down anything in their path using weapons that range from lava-spewing cannons to severed unicorn heads. The full version will also include a level editor, allowing you to torture your friends with your own custom-designed gauntlets of pain. Commander Cool 2 will be priced at $7.99 when it launches via Steam Early Access on April 23rd. Page created in 0.8641 seconds.